While Vishwaroopam was all about the hero fighting external enemies, the movie's sequel is more about eliminating the enemies within. Kamal Haasan's idea of India is quite close to perfection. It is an India that our forefathers dreamt of — an India that's progressive, prosperous, free of corruption and united in its diversity, liberated from the hatred sown by the British. 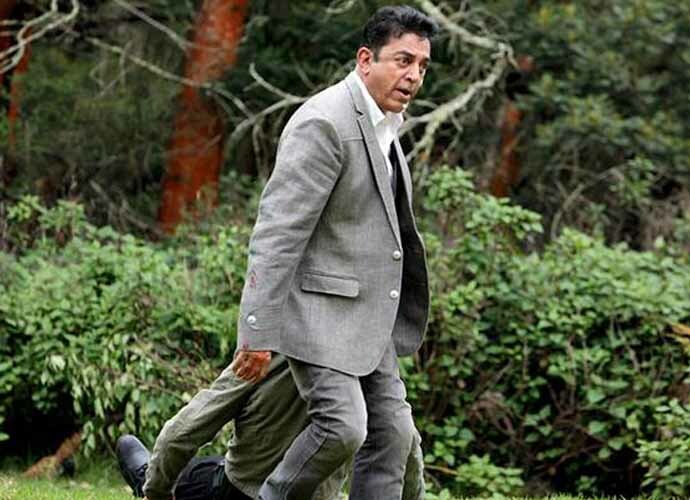 Often in Haasan's films we see him take on people or ideologies that try to threaten this vision of India. In the 1996 film Indian, he plays the iconic character of Senapathy, an ageing freedom fighter who takes it upon himself to murder all the wrong doers, one after the other, in a bid to fight the fast rising crime and corruption. He doesn't even spare his own son when he finds him guilty of a wrongdoing. In Hey Ram, released in the year 2000, he plays Saketh Ram, a man whose beloved wife is raped and killed in front of him during the Hindu-Muslim Calcutta riots triggered by Muhammad Ali Jinnah's call for 'Direct Action' in 1946. Brainwashed by a Hindu fanatic, he holds Mahatma Gandhi responsible for the mishap and pledges to kill him. But he realises his mistake before it's too late and actually ends up becoming a hero and a saviour for Muslims living in Old Delhi, jeopardising his own life to protect them from a Hindu mob. In his 2013 film Vishwaroopam, Haasan plays a Muslim RAW agent Major Wisam Ahmad Kashmiri, who makes friends with Islamic terrorists as part of a covert operation to destroy Al Qaeda's training camps on the Afghanistan-Pakistan border. While essaying these strong nationalistic characters has given Haasan great recognition in both India as well as abroad, it has also made him a soft target of fundamentalists from all faiths. But that hasn't deterred him from sharing his views with utmost candour. However, now that he has announced his entry into politics, everything that he says or does, whether in reel life or real life, would be scrutinised more closely than ever. And it is for this reason that Vishwaroopam 2 needs to be examined with great care and attention. While Vishwaroopam was all about Wisam trying to fight external enemies, the movie's much-awaited sequel is more about trying to find and eliminate the enemies within. There is a scene in the film when a pesky bureaucrat questions Wisam about his loyalty while alluding to his Muslim identity. Without giving the scene away all that can be said is that Wisam's sharp reply quickly shuts the bureaucrat up and for good. It wouldn't be a hyperbole to say that Vishwaroopam 2 achieves in just one scene what a film like Mulk struggled to achieve in its entirety. Also, the film is full of instances when Wisam is forced to put his life on the line for his motherland. Haasan's Wisam is a patriot and a nationalist but he isn't a jingoist and it shows in how kindly he treats the family of an Al Qaeda terrorist who is thirsty for his blood. Vishwaroopam 2 doesn't shy away from rebuking the bureaucracy and exposing the deep-seated corruption and red-tapism that continue to serve as roadblocks to India's path to becoming a global superpower. There is a scene wherein he is made to wait indefinitely outside the South Block secretariat in New Delhi. Haasan ends up wasting precious time which he could have easily used to close in on the enemy. It not only results in the death of his colleague but it also gives a terrorist outfit the leeway to hold the country to ransom. But ultimately it is Hassan who, through this film, wants to send a definitive warning to politicians — it's high time they chose constructive politics which endeavours to unite people over opportunistic politics that tries to divide them.